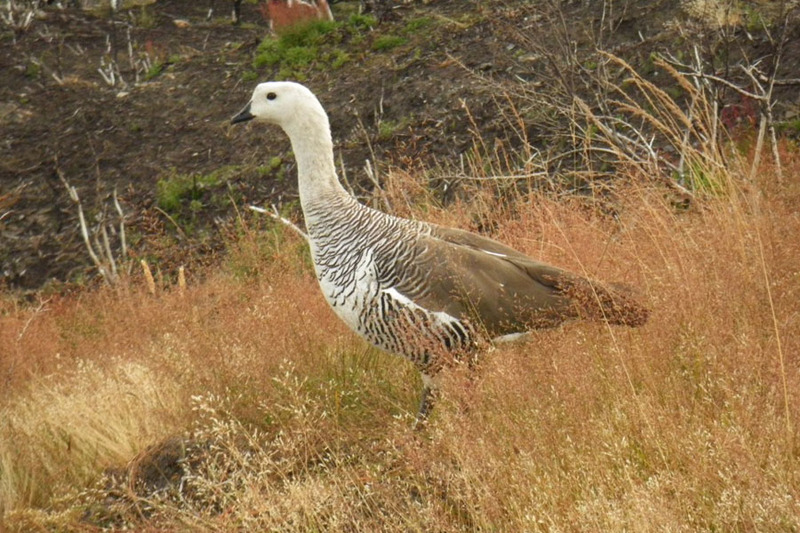 RANGE: This bird is indigenous to the southern part of South America. 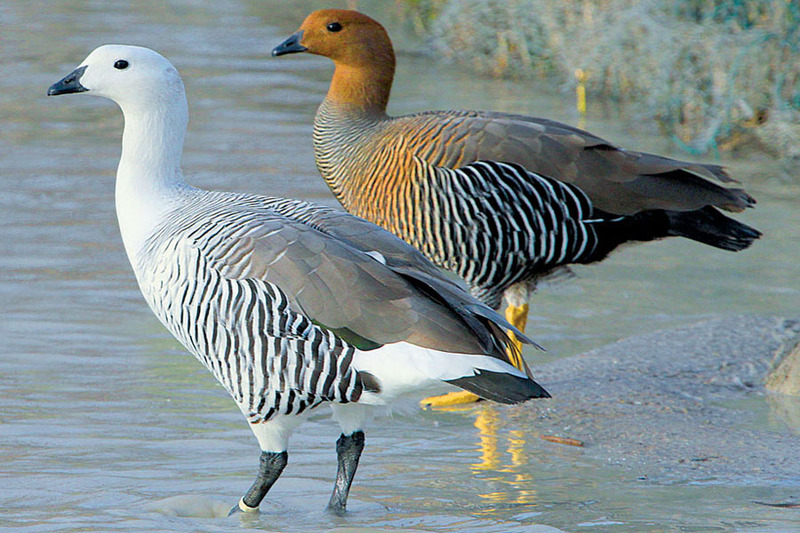 HABITAT:Pastures, grassy plains, rivers, and streams in southern South America and the Falkland Islands. GENERAL INFO:As they are not agressive birds it is easy to put them with the other waterfowl.You have to keep them in pairs. 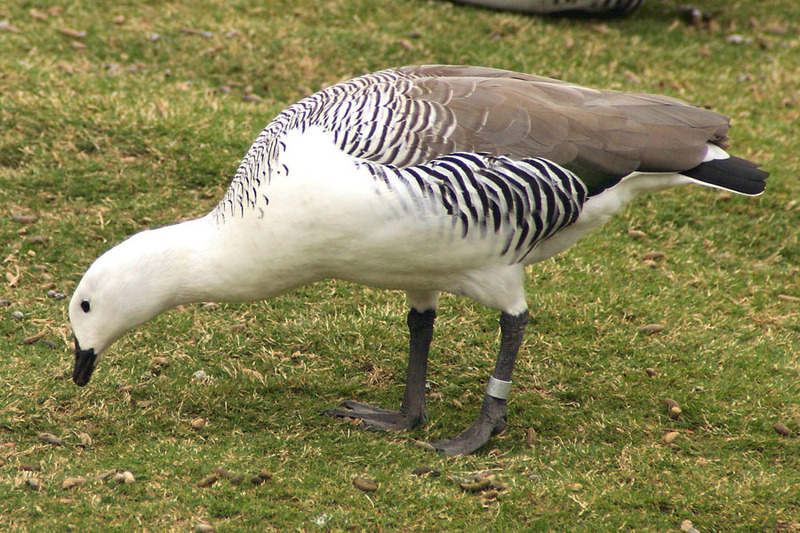 DESCRIPTION:Male - The male Magellan Goose has a white head, neck, and breast with black barred underparts, the eyes are dark brown and the short beak is black, the flanks and shoulders are also barred, the rear upperparts are grey, and the tail is black, the wings are dark grey and white with an iridescent green speculum, and the legs and feet are black. 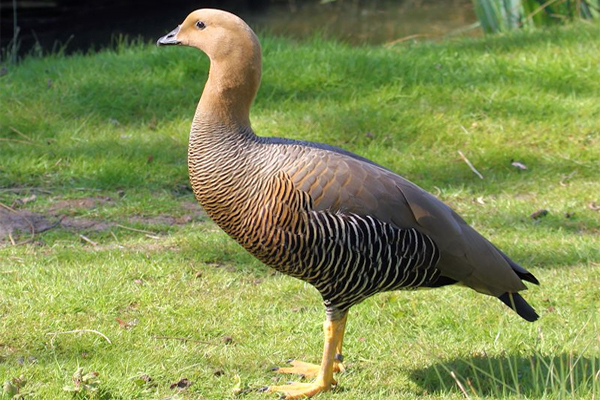 Female - The female is chestnut coloured with black barring on the breast, underparts, and flanks. The female has yellow legs and feet. AVAIRY POSITION:Well planted 15m2 avairy with a pond. BREEDING AGE: Second or third year. NUMBER OF EGGS IN A YEAR: 5-8 eggs.